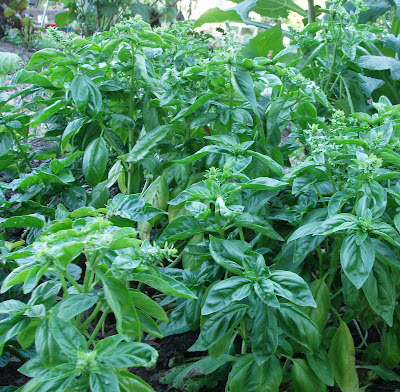 Basil in the field, lush and fulsome, just before picking time. As promised, this is the recipe we use to make our almost world-famous pesto. Remember, fresh and quality ingredients are the key! 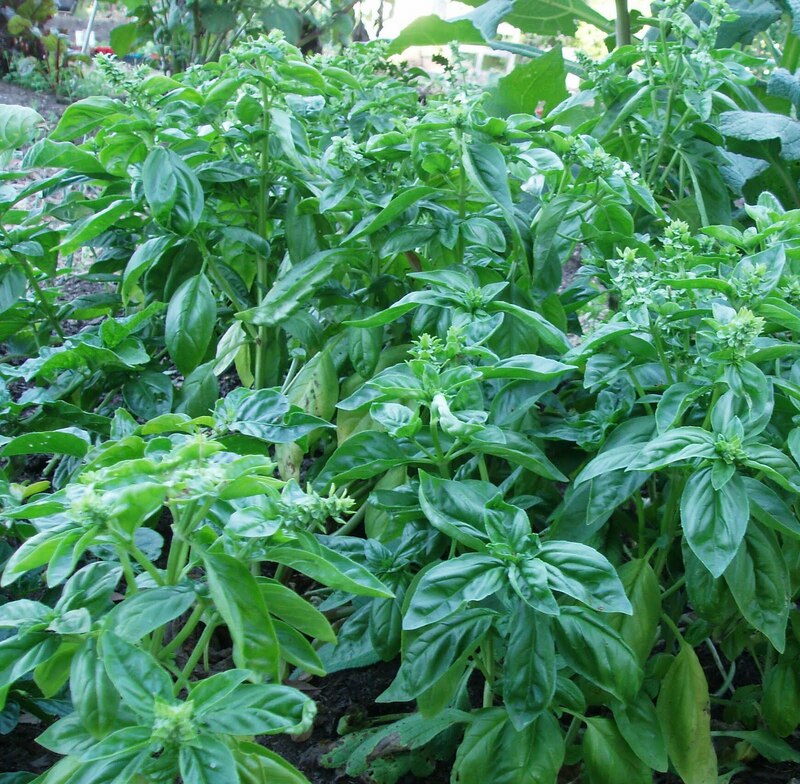 Make sure to cover the pesto tightly or store in an airtight container immediately after making it. The top layer will discolor faster than the rest you can keep a thin layer of oil on top to stop oxygen from getting to the pesto and causing discoloration, but this will add more oil to the pesto each time you use it. Some of us think this is not a problem. It is, however, only discoloration; the pesto has not gone bad and is still edible, especially if you're eating by candlelight! Combine all the ingredients, except the ½ teaspoon olive oil, in a food processor and process until a puree forms, scraping down the sides of the bowl as necessary. Transfer to an airtight container and pour the remaining ½ teaspoon of olive oil over the pesto, covering completely. Cover and refrigerate until needed (the pesto keeps for a long time, tightly covered, but loses it’s bright green color after the first day).